I have to confess that of all the highly scented flowering plants, Trachelospermum jasminoides is my absolute favourite. It may not produce the most showy of flowers, and it may not have the strength of scent of a Gardenia, but for flowering longevity and consistency of perfume I challenge you to find a better plant for the northern European gardens. Travel your way down to the warmer climates of southern Italy, and you will see Trachelospermum jasminoides - otherwise known as the 'Indian star jasmine' - liberally planted along with the brasher climbing plants such as the Trumpet vines - Campsis species, and the more traditional Bougainvillea. Of course, as you sit by the hotel pool, sipping margaritas and enjoying that warm jasmine fragrance as it wafts over you, you can be forgiven for thinking that Trachelospermum jasminoides will not be hardy enough to survive a typical English winter. 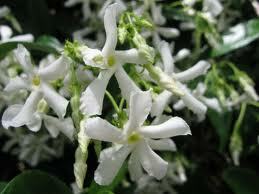 Evergreen and compact, the Trachelospermum jasminoides is a native to eastern and south-eastern Asia. However, as the more exotic climbing plants go, it is a lot tougher than you think. When Indian jasmine vines first began to be imported in large numbers by the northern Italian growers, we were perhaps overly protective of these fantastic, climbing plants. Free draining soil, on a protected south-facing house wall was the order of the day and it certainly wouldn't hurt to cover it in some frost protection over the winter. While these protective measure still hold true for gardens in the north of England, the Trachelospermum has proved itself to be a lot hardier than we first thought. 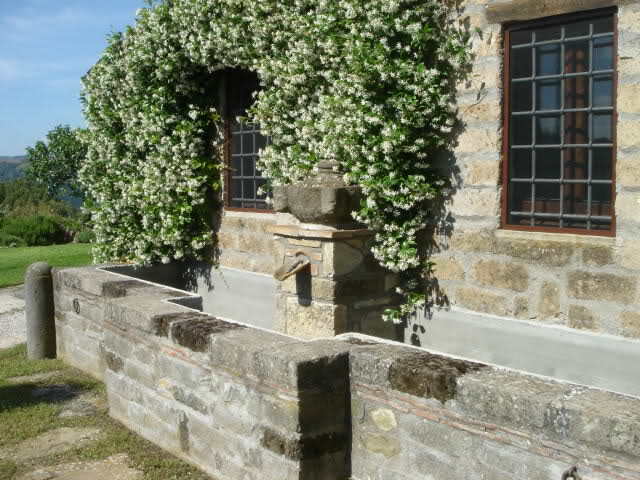 Nowadays, and with relatively low risk, you can bring your star jasmine out of the protection of a house wall and bring out into the greater garden. It will still do best against a protected wall, but will cope quite happily on a fence so long is is out of the way of cold, drying winds over the winter. Once established in the ground, you can water the star jasmine reasonably freely during the growing season, but that will need to be knocked right down come the winter or you will risk the root-ball rotting off. You can get some yellow leaf discolouration, but this is down the star jasmines high fertiliser requirement. Top dress spring and autumn with well rotted farm manure and you may well need to liquid feed on a weekly basis during the growing period. If that doesn't fix it then move on to using an ericaceous feed.